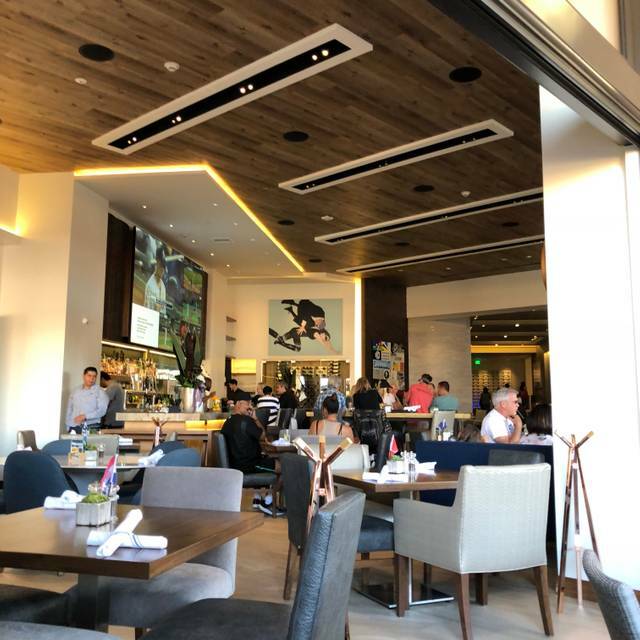 Located inside Fashion Island Mall, THE LOT provides guests a perfect spot to grab a coffee or freshly baked pastry at our café, a cocktail or drink at our trendy bar, or breakfast, lunch or dinner at our fine dining restaurant. Full in-seat dining service is also available in all our seven auditoriums. Come to THE LOT on Cinco de Mayo for the best FIESTA in town. Join us for an entire day of dancing and celebrating. 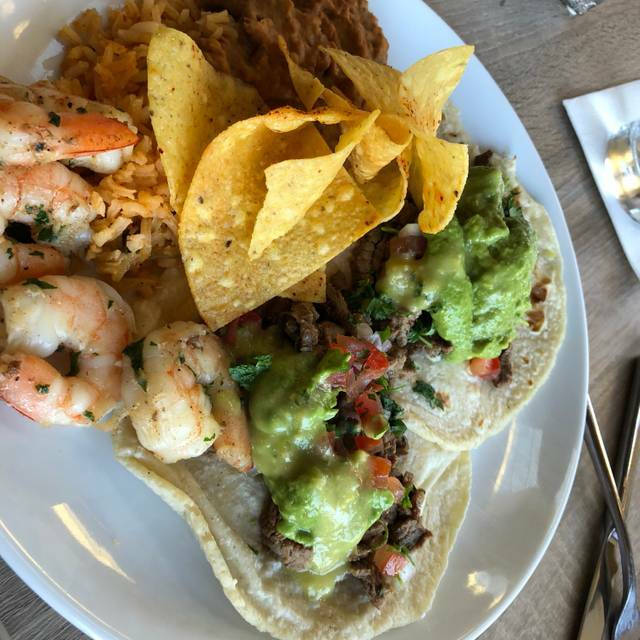 Enjoy authentic Mexican tacos from our buffet and margaritas. Experience the taste of Mexico at the place where the neighborhood plays. Book an unforgettable night only at THE LOT! This Mother’s day, show your loved ones how much you care by coming to our Mother’s Day Brunch. Treat mom to a gourmet experience with brioche French toast. Put a smile on her face with our selection of cakes at the dessert table. Bring the family to one of the best events at THE LOT, book now! Food was solid. My ahi bowl was surprisingly good. Actually excellent. My complaint is that the restaurant was mostly empty on a Friday night and yet it took 30-40 minutes to get our food after ordering (ahi bowl and tacos, simple stuff). Great place! Great drinks, good food! Enjoyed date night with my husband and our go to movie place now! Our server seemed to be working hard so don’t think her fault but seems like some inherent inefficiencies that made the service exceptionally slow. In fact 2 other tables within earshot were complaining about their service. This is not the first time I have experienced it there either. Maybe understaffed? Appears poorly managed. Even as we exited, no acknowledgement from the hostess, not even a thank you or goodbye. As an owner of a business, your employees are a reflection of your ownership, management style. I doubt this play will be still in business if keeps this up..
First experience dining at the Lot. Server Robert was great. Salmon was delicious. Overall a positive experience and so convenient when attending a movie there. Will definitely return soon. Pricey food, drink and movies and poor service. Food okay. Great atmosphere at the Lot...host was particularly splendid. Dressed super sharp and great wit. Waitress seemed a bit unsure of herself. Food was super yummy. Had the Avocado Toast. Will be back with my pooch to sample the deck. I was expecting typical movie theater food. I was surprised how good quality the food was and beyond what you expect. Sushi took way longer than expected. Food was good. Very convenient place to dine before the movies right there ! We love going to the LOT for dinner and a movie. It is a great experience. The food is delicious and the atmosphere is great. The movie experience is so easy and like nothing you have ever experienced. It's like sitting in a large family room, except that you have people serving you wine and goodies, even dinner if that's what you want!! We are now so spoiled that watching a movie anywhere isn't a choice!!!! My husband and I really enjoy going to The Lot Fashion Island--we can watch a movie and drink/eat in our seats. We were excited to reserve a table for the Super Bowl and enjoy the game on the big screen; however, when we showed up on time, our name could not be found on the seating chart (we were on the main reservation list). So, we were seated off to the side, at a table that was supposed to be for someone else, and we had a line of traffic in front of us obstructing our view of the screen--customers and wait staff walking by constantly. We also had to ask if someone was going to be taking our drink order. Then, after about 20 minutes, we were moved to another table (not sure why). About 1 1/2 hours into the game, we were going to be moved back to the first table but I guess someone decided this would not be wise. Needless to say, I don't know if we will be doing this again. It was super bowl Sunday buffet party. The viewing was super. Noise high of course everyone cheering for their team! Buffet was large and opportunity to visit as often as wanted. Drinks were generous. Service excellent . Went for the taco buffet which is a Tuesday special event. Due to slow season, they didn't set out a buffet. Instead, we ordered from the waitress who brought the tacos to the table from the kitchen. Much confusion about what was included and service was bizarre. Felt like the waitress' first night. At the end, the bill was not what I was told it would be (it was a bit more). 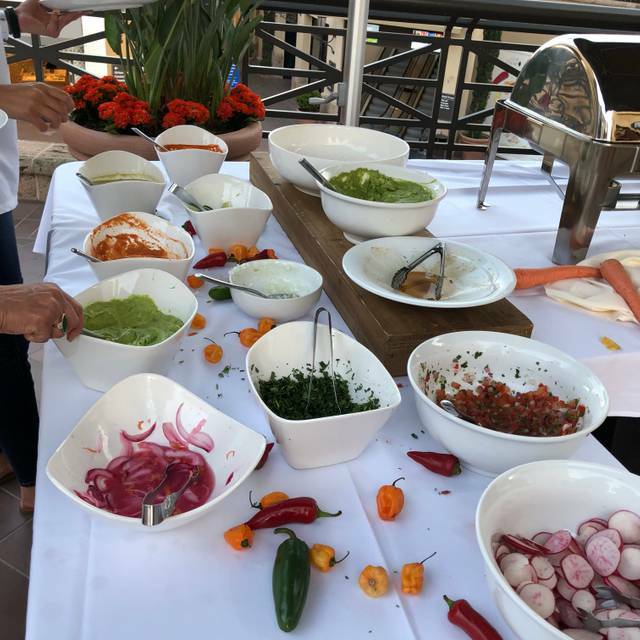 Saw pictures of the taco buffet in LaJolla and it looked really good - many more options than were offered to us. Chicken tacos were tasty - beef were OK - shrimp were bland. Tortillas were nothing special. Beans and rice were really tasty. In the end, I wish we had eaten elsewhere before our movie. Food was tasty, a bit pricey, but to be expected when joined with the movie theater at Fashion Island. Overall great experience! My husband and I went for our anniversary. We were really excited to try this place. The overall experience would have been awesome, but the service was absolutely terrible in the restaurant. Our waitress wasn't the problem , she was so sweet . We felt so bad for her though because she was the only waitress taking care of the entire bar area and outside. She appreciated my husband and I being so understanding and actually told her manager about how long we had to wait for ordering drinks food and having them brought out. Luckily the manager tried to make things right and comped us a free dessert and a couple of glasses of champagne because of how long it took. Our reservation allowed us two hours before our movie started but because it took so long we barely made our movie. I really want to continue going to the lot to see movies and have dinner, but the management really needs to figure out their Staffing. I just was in disbelief at how understaffed they were especially since it was a Saturday night. Seems like such a rookie thing to not have that figured out. This is our second and LAST time dining here! The service is less than mediocre, my mashed potatoes were a cold clump that were not close to being edible. After a long wait when we finally received our dinner, the waitress at the table next to us, dropped an entire tray of drinks on a gentleman. Then there was hustle and bustle to clean up the broken glass and water and wine! The noise was unbearable!!! We quickly ate and left before the movie and had a drink elsewhere, just to get out of there. It’s like eating at a low end coffee shop!!! There are many restaurants in Fashion Island...do yourself a favor and dine anywhere but the Lot! Music is always to loud in the dinning room what have meal with friends before the movie , this a neighbor hood spot for us dinner and movie that's big complaints from my friends . service was inattentive. food good - pricey - lacks polished effort particularly when you consider cost. Service was slow and when food was delivered it was cold. Overpriced burgers and such. The staff was very friendly. The food was okay, nothing special. Why ask if it is an occasion if it is not acknowledged when you arrive? I had a reservation and noted it was for a birthday. There was no acknowledgement in any way. Robert was our waiter 2 nights in a row and he was fantastic - as such we requested him the second night. Sadly he is off tonight or we would be back! Kevin is doing a great job! Kevin is doing a great job! Kevin is doing a great job! Kevin is doing a great job! Kevin is doing a great job! Kevin is doing a great job! Kevin is doing a great job! I really wanted to like this place, however on our first attempt it did not go well. It was late afternoon and the place was relatively empty. There were tons of staff walking around and chatting. We sat at the bar high tops to enjoy a few of the ball games before our movie. We ordered two appetizers and one entree along with drinks. The food took forever. In fact the meal showed up before an order of chips and guacamole. My husband stated while we were waiting maybe they made their chips fresh.... that was not the case. Pretty disappointed that we didn’t get to enjoy appetizers before the main course... because I was starving! Utensils were no where to be found and again several minutes to get. At this point everything was cold. We didn’t complain, that’s not our style, but did take note and shared our thoughts with a few friends. It appears they cater more to an evening crowd as after our movie the place was full.... not sure if service was any better. I would expect this with a new restaurant getting the kinks out, but this place has been open awhile. It sounded a good value for $40 to have thanksgiving 3-course dinner plus a movie at the LOT. So, I went online and booked. However, the web booking didn't let me book a movie subsequent to the dinner. So I bought the tickets separately. Then I contacted CS online and explained my wishes and was told that's fine. I just approach concierge before dinner on the day and movie charges will be refunded while the seats are reserved. When we showed up, of course there was a commotion as the ground staff had no clue about the online agreement but as it's a Newport Beach establishment the on duty manager agreed to honour the agreement and so the movie tickets were refunded whilst the seats are reserved. All the dishes seemed to taste good EXCEPT the most important dish of the day - the Turkey plate was a disappointment! Almost non existing amount of gravy, the stuffing was super dry, the meat was OK not too dry and the green bean casserole was small in portion. None of us ate Pumpkin and there were two pumpkin desserts out of three to choose from. The server was kind enough to get the dessert converted to ice-cream for us. Everything was fine up until the billing - the bill came and only charged for a drink so I thought everything was paid up front when I booked online as I had to submit credit card information so that's fine. But no, when the movie started, the server came in the cinema and of course blocking my view and telling me there's a billing mistake, they didn't bill me the complete F&B charge. Thinking I had prepaid online I was of course confused and anyways, I signed the bill and then the server looked at me and said could I give more tips !?!? It was in the dark and I signed the bill quickly wanting to go back to the movie and yet I was told I didn't leave tips ! I never underpay tips. I was not the one who made a mistake and yet I was made feel guilty like I did something terribly wrong ! I will always remember how the server looked at me ! I have been there several times now and it's always been great! Great Ambiance ! Our 1st time at The Lot was for cocktails & a quick bite before a movie. The service in the restaurant was great & food was delicious. I highly recommend seeing a movie here, service at the seats was great & made the movie very enjoyable! Really good. Have been for Taco Tuesday and that is awesome. Went for dinner and drinks the other night before a movie at The Lot and it was wonderful. Drinks were great and we all enjoyed our food. The shishito peppers were fabulous!! Would recommend and will return. Great brunch and atmosphere inside the Lot. Will be a good spot to take family regularly. We had a super fun girls night! Our waiters Rachel and Michael were very attentive and professional. The magician wandering around was very entertaining. Will definitely be back! 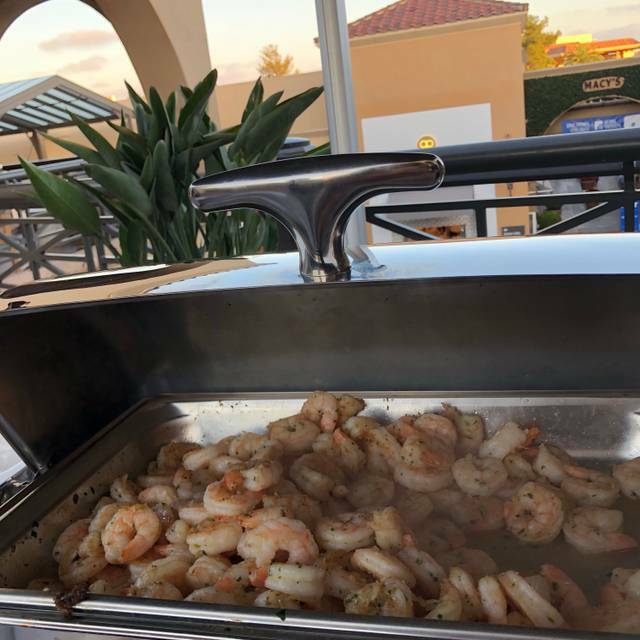 Many things did not meet our expectations regarding our first experience Saturday, October 13 at your Fashion Island location. Let me begin with the restaurant which was barely filled with customers when we arrived for our reservation at 1 PM. We were promptly seated however it took to 1:40 PM to finally get our food. Ok so that certainly wasn't up to any restaurant standards however what followed was worse. I had purchased our tickets online for the 2:15 showing of “A Star is Born” through The Lot's website and because I was unfamiliar with the new layout of your theatre I didn’t realize I had chosen the last row G (G3 & G4) . Upon arrival my wife and attempted to locate our seats which was poorly marked-both the row and the actual number of the seat. I went to the concierge desk and spoke with a man dressed in a suit behind the desk and told him I had a problem locating our seats, however I said, if I was correctly guessing which they were, I would like to change our seats to a row lower such as rows E or F. I was then told by him that that was impossible because the movie was completely sold out-he said this without even checking. I returned to our seats G3 & G4. 45 minutes into the film it was obvious that this employee dressed in suit lied to me directly to my face. The venue was about a third full. Unprofessional, insulting, questionable character for what seems to have been the supervisor of The Lot. It’s just too noisy. Sounds and feels like a cafeteria. Carpeting would help but overall, just not very appealing. We had breakfast prior to an 11 movie. Servuce started off slow but then picked up. Excellent espresso from the coffee bar. Almond croissant was tasty but didn’t seem fresh. The assortment at the coffee bar looked great. We had egg dishes and they were very tasty. The frittata woth goat cheese had good flavors. Our waitress gave us a bag for our leftover croissant and waters to go for our theater experience. Once inside I had a proseco which was a pretty good pour for $12. We wanted to know what the brass colored stand (pictured) was for — tohang your purse ! Everything was great except for the service. It was slow. It’s possible our server was new. This was my second visit. The first time the food was good. This time, for breakfast, I was disappointed after placing my order for lox and bagels, just to find out that they couldn't serve the bagels because they were not defrosted. A bit concerned about what else is frozen and not fressh. Always enjoy hanging out at the Lot and seeing a movie. Love the atmosphere and very relaxing. Love the fire pits.